The Centre for Jazz and Popular Music will present 5th Season Jazz band on October 12. 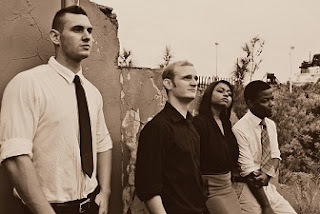 The ethnically diverse and proudly South African Durban-based band will perform in celebration of their debut album Symmetry that was launched in October 2015. Symmetry is the result of many months of planning and reflects the band’s diversity and heritage. It is a blend of re-arrangements of jazz standards and original compositions, and is collectively very easy listening, which will no doubt appeal to the more discerning music lover. 5th Season is currently working on their release of their second album due to be completed by end of February 2017, as well as a special live instrumental Trio album. Having met whilst studying Jazz & Popular Music at UKZN back in 2010, founder members of the band, brothers Devon & Brayden Hore teamed up with talented guitarist Mthunzi Mchunu (Mo). The trio, with their shared passion for Ballads, Swing, Smooth & African jazz, as well as commercial/pop with a jazz element, have been establishing themselves as a go-to-band in KZN under the name 5th Season (meaning an exciting and new season in music), and have travelled the province since, exposing their talents at various functions consisting of festivals, private functions, corporate events and weddings. The Trio expanded its musical offering to include the extremely versatile vocalist Janice Joseph, also a product of UKZN. Janice’s voice compliments the talents of the musicians & in short, completes 5th Season as a band. 5th Season featuring Brayden Hore (bass), Devon Hore (drums), Janice Joseph (vocals), Mthunzi Mchunu (guitar) and Ryan Pendy (piano) will play a wide variety of well-known jazz standards and contemporary tunes as well as original compositions. The Jazz Centre is situated on Level 2, Shepstone Building at UKZN Howard College Campus.